How much does Kevlar® (Aramid) cost? Aramid fiber is best known by the trademark name DuPont™ Kevlar® and offers many unique and beneficial properties. With aramid raw material costs between five and thirty times the cost of nylon or polyester, many manufacturers look for ways to save when aramids are required for their application. What seems on the surface like an easy question is a lot more complicated than you might think. So, what are some of the factors that contribute to the total cost of industrial aramid yarn or thread? Raw material size- Finer raw materials are more expensive and time consuming to produce and come at a higher overall cost per pound. Fiber type – Is it spun or continuous filament? 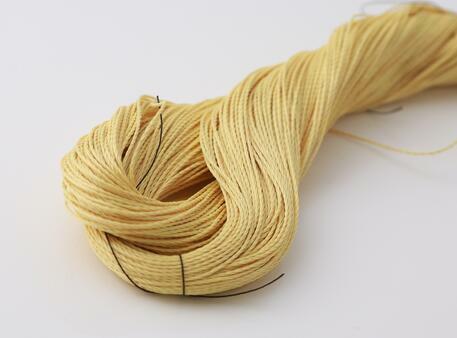 Spun aramids made from staple fibers typically cost more than continuous filament aramids. Each type has its advantages and disadvantages based on the intended application. Aramid Type- There are many different types and grades of aramids. Meta and para aramids, Standard Tenacity, High Tenacity, High Modulus etc. The aramid type used is critical based on the final application. Final Yarn Construction – Depending on the product requirements, an aramid might be a single end or multiple end multiple end product. It may also need to be twisted, cabled and/or treated. There are a number of different package sizes that aramid products are wound to as well. To determine the final cost of an aramid product, you must consider the aramid construction and how many processing steps are involved to make the final product. Doubling is a process that takes two of more ends of a material and plies them together to achieve the desired final yarn size. 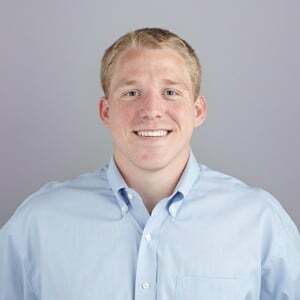 This process enables you to modify the size and strength of a single end of material to something that may not be available directly from fiber producers. Twisting can be an important part of achieving the end results you are looking for in a product. 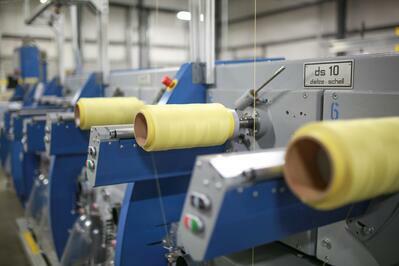 The level of twist applied to a specific material can greatly affect the physical characteristics of the yarn. Certain products require higher twist levels and the higher the twist level, the longer a yarn takes to process and the more expensive the product. A product that is twisted 1.5 turn per inch is going to be less expensive than one that has 6 turns per inch. A special multi-stage type of twist, called cabling, can help produce a tighter, more round cross section of material. The first stage of cable twisting is performed by applying twist in one direction to a single end of yarn and winding two or more of these ends together. The second stage of cabling involves twisting this entire bundle together in the opposite direction, as seen in the picture below. This process can stabilize any stored twist energy and creates a balanced, torque-free material. Depending on the on the end use, specific treatments are necessary to achieve desired results. 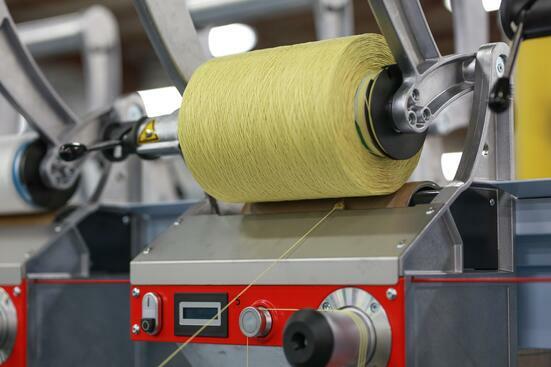 Treating yarns is a separate processing step that also increases the cost of an aramid product however, in many applications such as high speed industrial sewing, hose reinforcement and cable production, these treatments are required. There are many different types of treatments available, some of the most common include bonding, waterblocking and adhesion promoting. Bonding is a treating process that adheres multiple ends of yarn together. This is typically required for high speed industrial sewing applications and makes for better ply security on twisted and cabled sewing threads. For sewing applications, lube is also applied after the bonding process to help reduce needle heat during high speed sewing. Used primarily in manufactured rubber goods (MRG) such as belts and hoses to offer improved yarn adhesion to various substrates. The last step is the final winding step. There are many different types of tubes, cones and spools available, and with the numerous types of processing equipment out there, it’s difficult to find a “one size fits all” package. This step is required to transfer the material that has already been processed, to a package that is suitable for specific manufacturing equipment and applications. In summary, the cost will not necessarily scale linearly from the raw material pricing. Aramid pricing will fluctuate substantially depending on the aramid, final yarn construction and processing steps required. Generally speaking, the more processing steps required, the more expensive the product. To figure out an accurate aramid price for your product, it is important to understand the product construction needed to achieve your desired results. If you’re a manufacturer of wire and cable, you understand the challenges faced when selecting binder, ripcord and strength member yarn to meet your cable specifications. Download our ebook below to find out what the key considerations are when selecting industrial yarn that best fits the quality you desire, your cable requirements and desired budget.